Included in your monthly Membership is access to PECAA’s Human Resources Support Center with unlimited calls to AmeriBen’s resource center hotline, up-to-date HR forms and document templates, a salary survey database, and more. This telephone consultation service allows PECAA Members to make unlimited calls to AmeriBen’s Resource Center Hotline, which receives a steady stream of calls and e-mails from members seeking answers and advice on difficult employment issues, perplexing regulations, safety concerns, and general personnel matters. AmeriBen’s consultants have the expertise to respond to the majority of employment questions. Consultants answer over 4,000 calls a year and you will get a live voice 90% – 95% of the time. The list below provides a sampling of topics that are addressed and resources that are provided on a daily basis on the Resource Center Hotline. Sample employee handbooks are provided for PECAA Members at no charge. 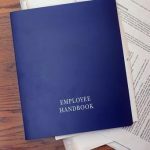 Employee handbooks should be reviewed periodically to ensure policies are not outdated or invalidated by new laws and regulations. AmeriBen will review your current employee handbook for a discounted fee. For a small additional charge, AmeriBen will provide a review of your current employment application. PECAA members who subscribe to this service will receive the most up-to-date accurate information on management consulting issues, legislative changes, case employment summaries, management tips, and other practical advice. This is one of the most popular features of client resources because it informs your management staff of current events and issues without any research or time-consuming studying on your part. Enjoy 60 minute monthly webinars online on topics ranging from human resource best practices, leadership, application of new or existing laws, benefits, and more. Additional training events, such as full day workshops and the annual leadership conference, will be available to PECAA Members at a 75% discount! Enjoy access to a database that contains salary survey information and job descriptions for over 7,400 occupations in metropolitan areas around the United States. Information is gathered specifically for your industry, geographical location and years of experience. The database is updated quarterly. Also includes relocation information, executive compensation data, and incentive compensation. PECAA Members receive a 10% discount on each optional service!